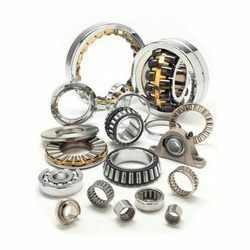 We are the leading supplier and dealer of Industrial Bearing in chennai.We have established ourselves as a leading trader and supplier of an exclusive range of Industrial Bearing. We Trade and Supply Industrial Bearings from chennai to all over Tamil Nadu, Andhra Pradesh, all states in India and Exports. These Industrial Bearings products are procured from the the reliable vendors of the market, who procure them using superior quality raw material. Owing to their corrosion resistance, longer functional life and excellent performance. 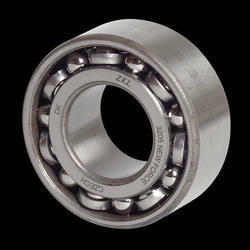 These Industrial Bearings products are highly demanded by the customers. In addition to this, we provide customization as per the exact specifications detailed down by the customers. Further, customers can avail these products from us at market competitive prices. We are offering our clients a qualitative range of Bearing Ring. Used extensively in various applications, these rings are manufactured at our vendors end using superior quality raw material procured from the trusted vendors of the market. Available in various sizes and designs, these rings are designed in order to meet the emerging demands of the customers. Owing to their excellent performance, longer service life and superior quality, these products are highly demanded by the customers. We are offering our clients a qualitative range of Sl Series Bearing. Used extensively in various applications, these rings are manufactured at our vendors end using superior quality raw material procured from the trusted vendors of the market. Maintenance friendly design, ease of operation. 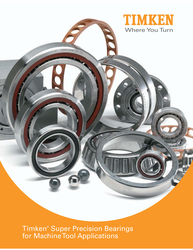 We have gained expertise in trading and supplying a comprehensive range of Timken Bearing. Procured from the reliable vendors of the market, these products are manufactured using superior quality raw material in accordance to industry quality standards and norms. Extensively used in various applications, these products are highly appreciated and demanded among the clients for their robust construction, excellent performance and longer service life. Further, customers can avail these products from us at market leading prices. In the market of CIS countries is a reliable and one of the main partners for such enterprises as KAMAZ, AUTOVAZ, UAZ, GAZ, URALAZ, MAZ, LIAZ, Machinery & Industrial Group, MTZ, Rostselmash, Gomselmash. 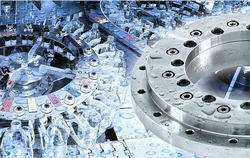 In Europe EPK is the official supplier of DAIMLER, BPW, OTORPAL. Besides the bearings for cars are produced at the plants of the corporation RENAULT, DAEWOO, CHEVROLET, HYUNDAI, ISUZU, FIAT, axes SAF, RABA and MDARA, gear units ZF and for many other foreign cars and units. 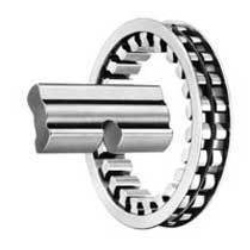 Bearings are established in naves of wheels and axles, in gearbox and distributing box, in reducing unit and steering, in engine power supply and cooling system. Sale of bearings and repair sets for cars and agricultural machinery is carried out through a network of distributors engaged in sale in the region of consumption of the bearing and rendering service in complex closing of the shops' needs in spare parts. For car owners the ABC bearings on the secondary market are presented under the brand Volzhskiy Standart (VS) . Volzhskiy Standart - the bearings not conceding in quality to the European and Japanese analogs, and on some parameters and surpassing them. The bearings (VS) have the guaranteed resource of mileage of 100 thousand km, meeting the requirements of installation and maintenance instructions. Also some time ago the ABC company adjusted release of repair sets under the brand LIMEX. And if earlier it was needed to gather a set of spare parts for bearing change in different places, now the procedure became considerably simpler. Now all necessary parts for repair of naves, half-axles or gearboxes are collected in one packing. The advantage of repair sets LIMEX is not only that the car owners are relieved of a waste of time on searches of necessary components and from possible mistakes at their choice, but also the guaranteed quality of all the parts of the repair set. Repair set includes bearings of production of EPK plants and the certificated purchased spare parts necessary for repair of bearing units of cars (greasing, cuffs, nuts, lock rings, laying, splint pins etc.). Recently on the market of Russia and CIS a large number of foreign brands appeared which hide the true origin declaring the products as produced in Germany, Japan, Slovakia etc., and actually made in China. There are cheap fakes, they are unreliable and are often simply life-threatening. There are foreign analogues the price of which can be unfairly high. Production of EPK is offered at the price optimum for such production and such level of quality. The good products don't happen too cheap but shouldn't be too expensive as well. Buying bearings by Volzhskiy Standart and repair kits by LIMEX from official distributors in original packing you exclude any possibility of purchase the product of bad quality and provide safety and comfort to yourself and the relatives. In many cases involving bearing selection during the initial design of a machine, obtaining a satisfactory rating life is the prime consideration. The shaft size is usually decided first, based on allowable working stress and deflection. This establishes the bearing bores. Fortunately for the equipment designer, standard bearings can be found with different O.D.s and widths for a given bore size. As the bearing envelope volume increases with O.D. 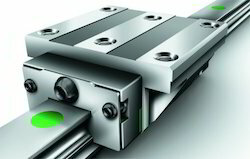 and width, dynamic capacity increases accordingly, yielding increased rating life. 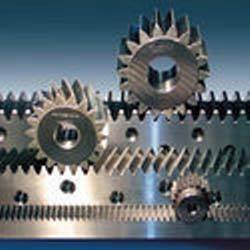 We are one of the eminent names involved in trading and supplying a comprehensive range of Rack And Pinion Bearing. Widely used in various industrial applications, these rings are manufactured at our vendors end using superior quality raw material procured from the trusted vendors of the market. Available in various sizes, these rings are designed in order to meet the emerging demands of the customers. Owing to their excellent performance, longer service life and superior quality, these products are highly demanded by the customers. We are offering our clients a wide assortment of Sprag Type Clutch Bearing. These products are procured from the trusted vendors of the market who make these products in accordance to international quality standards. 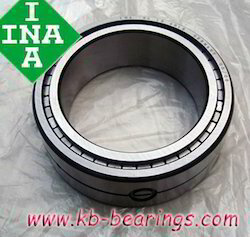 These bearings are designed using superior quality raw material, in order to maximize the speed and load of the bearings. Extensively used in various applications such as diesel engines, conveyors, textile machines and printing &packaging machines, these products are typically designed to control conditions associated with misalignment of the components. Looking for Industrial Bearing ?